Beverly Oaks Surgery George Mutafyan, M.D. 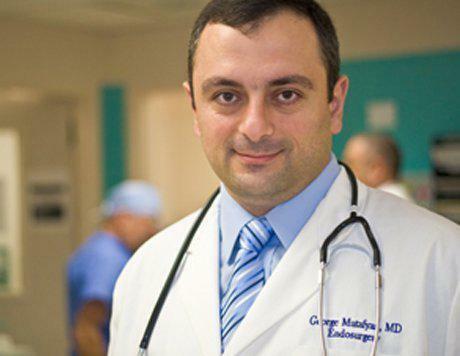 Dr. George Mutafyan is a top-rated bariatric surgeon serving patients in Sherman Oaks, CA, and throughout the Greater Los Angeles metro area, providing skilled, state-of-the-art care in a relaxing, patient-centered environment aimed at helping patients lose weight and reduce their risks of weight-related medical issues. As a board-certified surgeon with years of experience in weight-loss surgeries and related procedures, Dr. Mutafyan offers a comprehensive array of care options, including gastric bypass surgery, Lap Band® surgery, vertical sleeve gastrectomy, medical weight loss management, and in-depth surgical consultations, as well as treatment of varicose veins and herniated discs. Dr. Mutafyan has extensive experience in minimally-invasive surgical techniques developed to help patients heal faster and with significantly less risk of pain or complications. After earning his medical degree, he completed an internship in general surgery at Oregon Health & Science University and a surgical residency at Michigan State University, followed by a fellowship at Duke University Medical Center to conduct research in minimally-invasive surgical approaches, including laparoscopic techniques sued in the weight-loss surgeries he offers. 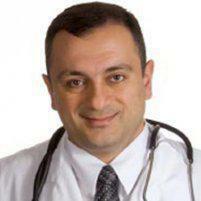 Today, Dr. Mutafyan is regarded as an expert in laparoscopic bariatric surgery. In addition, he maintains active memberships in several medical societies, including the American College of Surgeons, the Society of American Gastrointestinal and Endoscopic Surgeons, the American Society for Metabolic & Bariatric Surgery, and the Society for Surgery of the Alimentary Tract. Dr. Mutafyan welcomes new patients at his practice on Central Avenue in Glendale, and the practice accepts most major medical insurance plans.